These drawings were done during an artist-in-residence program in the Porcupine Mountains Wilderness State Park in Michigan's upper peninsula. For two weeks I had the use of Dan's Cabin in the Porkies and complete access to the park. The process was to hike and take photographs in the morning and early afternoon, and then spend the late afternoon and evening drawing from the photos. All of the drawings were done during the residency. No under-drawing was done. They were drawn on Arches etching paper and measure 24" x 18". 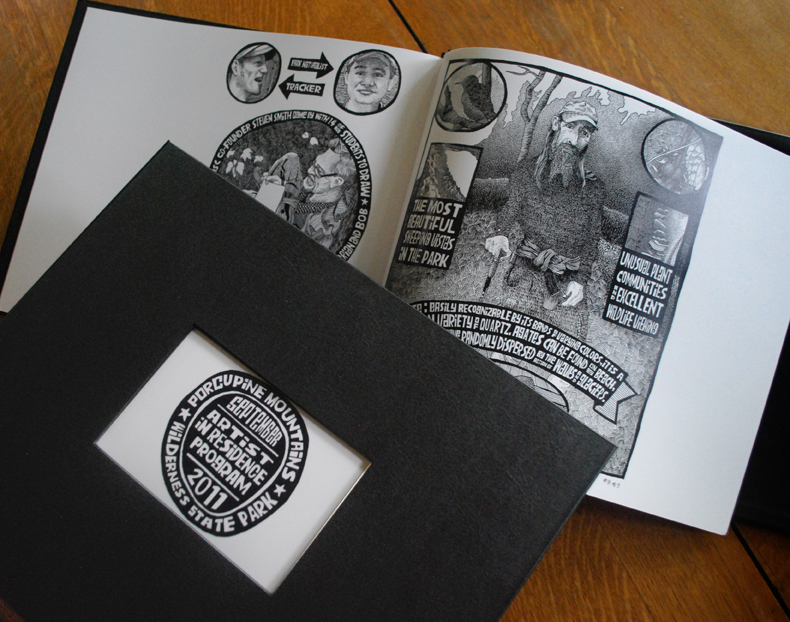 The book pictured above was provided to the Friends of the Porkies for the park's permanent collection, as well as a framed print of the drawing 5 of 9.